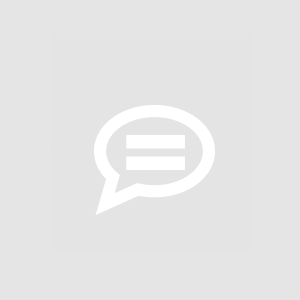 This is a discussion group for mooSocial's Friends inviter plugin. Have ideas, suggestions, questions regarding this plugin? Please post them here. Is there a reason why this should be done? So I&apos;m looking at changing the way i grow my membership. I want to try a two tiered approach. The first would be foundation members can add new members directly (subject to admin approval), and the second would be non-foundation members can suggest new members but they need to be "seconded" by another existing member. I&apos;m just trying to create a gateway that ensures that I don&apos;t just get a flood of new but unqualified (professionally) members. I want to be able to quality assure the new me... moreSo I&apos;m looking at changing the way i grow my membership. I want to try a two tiered approach. I want to be able to quality assure the new members before they gain access to the community as the qulaity of the knowledge is the value proposition. Not sure if this is the right forum or if anyone else has adopted a similar approach. Keen to hear any ideas. So, this doesn&apos;t actually send invites to all contacts in your gmail does it. Mark Yes, it does, please check demo here http://addons.moosocial.com/friend_inviters , click on "gmail" button, system will ask your permission then will access all of your contacts in your gmail account. You can select all to send invitation or send to specific contacts. Adam Phillips Yeah, it tells me that all of my contacts are already a member. I have over 5 thousand contacts in gmail so I know this is not the case. Adam Phillips This plugin is still not working properly for me. Mark have you sent invitation to them? Please submit ticket so that I can help you check this issue. Linh Le Hi Adam, can you include your site info(ftp, admin account) into a ticket and submit it for checking? Adam Phillips Yes, working now. Nice work guys. Suggestion: Friends inviter plugin should be integrated with "Credits" plugin. For every referral a user makes with their link or invites should allow the user to receive points as well. 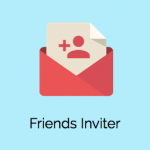 Friends inviter plugin Version 1.2 is release Change log: +Fix some layout issues Please go tohttps://moosocial.com/product/friends-inviter-contacts-importer/to see detail.